Jelke is a professor in the Division of Geology and Geotechnics, research group Geotechnics. He is interested in experimental geomechanics, especially in capturing and understanding fundamental properties of granular media using unconventional methods. As such he had developed new experimental techniques to manipulate and probe (soft) soils. Jelke is expert in design and execution of non-standard element tests and physical model tests (including geotechnical centrifuge tests). 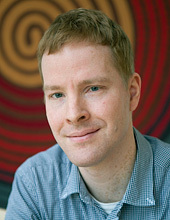 Jelke has extensive experience with 2D full-field imaging techniques for deformation and stress analyses. He had also used geo-electrical techniques to track material changes within the soil sample. There might be more projects where Jelke Dijkstra participates, but you have to be logged in as a Chalmers employee to see them.